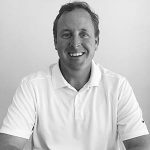 With over 19 years of experience in the yachting industry, Brendan understands the importance of a strong client/broker connection. He’s aware of what it takes to maintain this relationship, and strives to make each of his clients visions come to fruition whether it be buying and/or selling. Yachting is a lifestyle investment which can be a daunting process; as such, Brendan’s goal is to be involved in every step whether it’s the purchase or sale of a boat or assisting in all stages of a new build. Brendan was born and raised in Pennsylvania. Upon his college graduation he received a job offer as Marketing Director for The Catamaran company based out of Fort Lauderdale. At the time he knew almost nothing about boats and doesn’t recall much except getting seasick. But despite that, Brendan took the job and liked the industry so much that he decided to stick with the industry and take several other yachting jobs. He worked his way up the ranks and Captained sail and motor yachts for nearly a decade. The natural shift towards brokerage was an easy decision for Brendan to make. The vast amount of knowledge he had acquired throughout the years set him up to be an excellent yacht broker; one who possessed a great amount of experience at the helm as well as an immeasurable amount of information which would set him apart from other brokers in the industry. Over the years, Brendan learned on the decks that no two vessels are the same. He developed a deep understanding of what different vessels had to offer – an invaluable insight which now helps him match clients with the perfect yacht for their needs.